Animal agriculture and the Paris agreement: What does it mean? 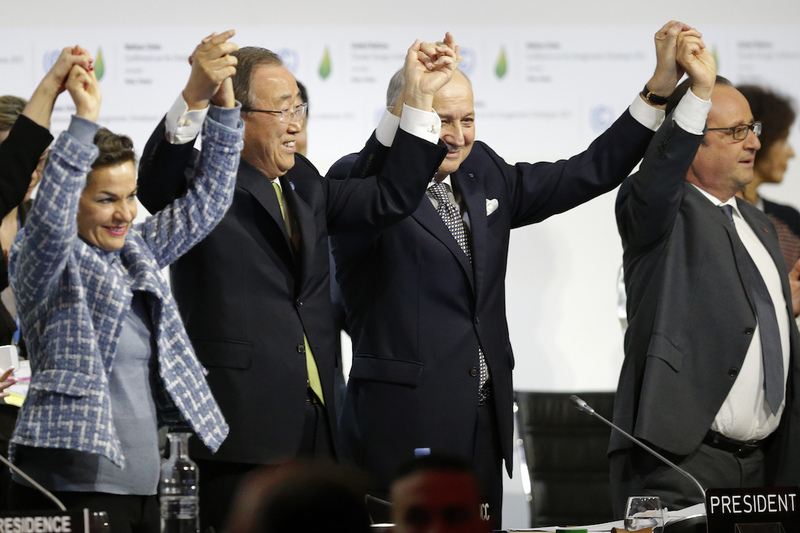 On December 12, to claps, cheers and tears, a landmark climate change deal was formed. Food security and agriculture were not overlooked in Paris. In fact, agriculture held a prominent role in the discussions, and the collective outcomes of COP21 offer many opportunities for action in the food and farming sector. 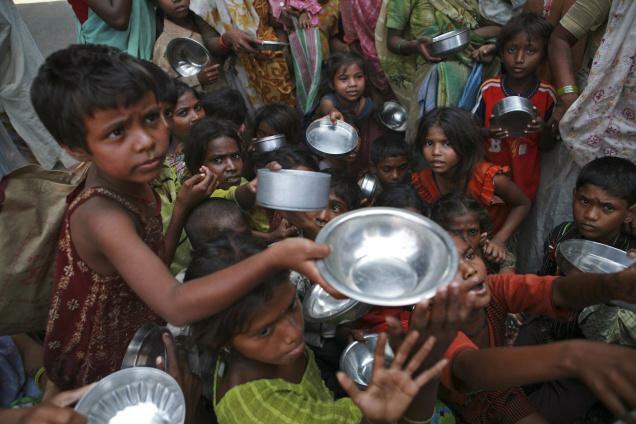 Food is a basic human right and this right is violated every day as 800 million people go hungry. Climate change is already challenging the world's capacity to feed itself, and this challenge will only increase with population boom. Agriculture, forestry and land-use contributes to climate change through the cultivation of crops and livestock, and landscape modification. It contributes about 24% of total emissions. Although, the CO2 that these ecosystems remove from the atmosphere by sequestering carbon in biomass, dead organic matter and soils, offset approximately 20% of emissions from this sector. 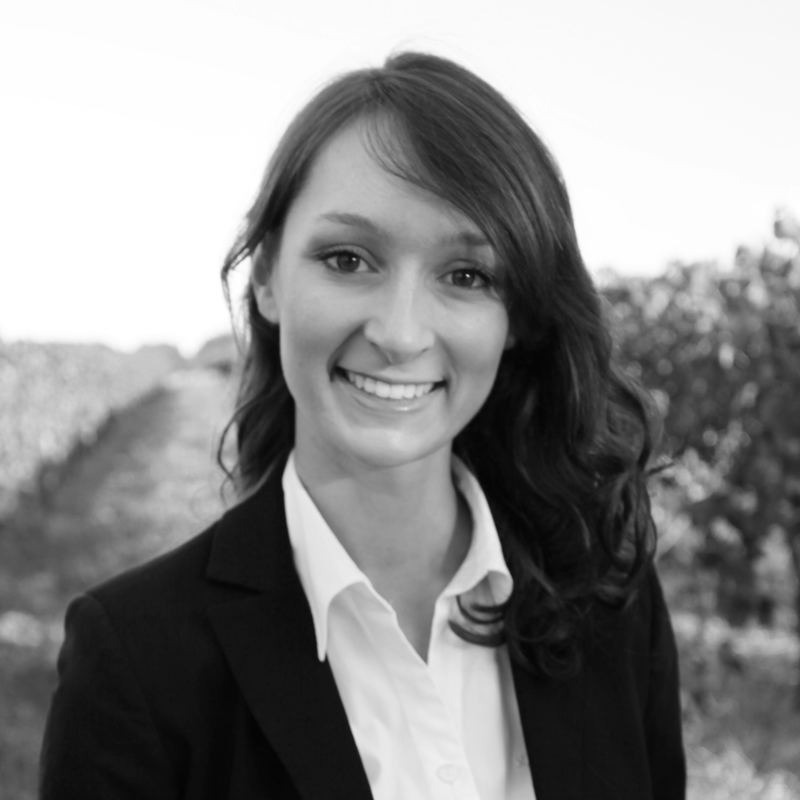 The contribution to climate change is well recognised in the farming sector, and as such extensive work has been undertaken to improve management and practices in order to reduce GHGs produced and improve carbon capture and storage. As farmers live and work with the environment it is a core aspect of their operation that the environment is enhanced through continued improvement measures. Mitigating GHG emissions has cascading environmental, social, economic and production benefits, which of course are in the best interests of farmers. There has been great advancement in this aspect over the past decades, however much more work is required to meet emission reduction targets in line with what the experts recommend. 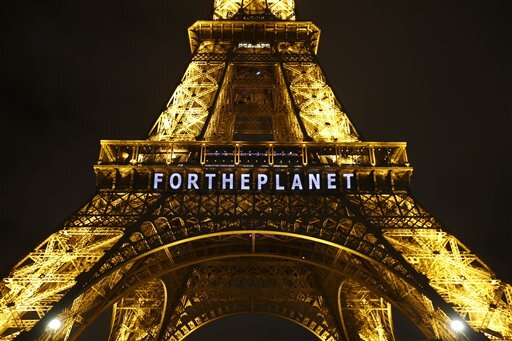 Among the Paris Agreement's 29 articles, it aims to strengthen the global response to climate change by holding the increase in global average temperature to well below 2°C above pre-industrial levels and to pursue efforts to limit the temperature increase to 1.5°C. The temperature targets mean different future scenarios for agriculture. For example, staple maize and wheat crops both show a trend towards greater yield losses at 2 degrees. If global warming can be limited to 1.5 degrees, this will also produce fewer climate extremes. This is good news for farmers in the tropics, as they will be most at risk of heatwaves, droughts, floods and cyclones. 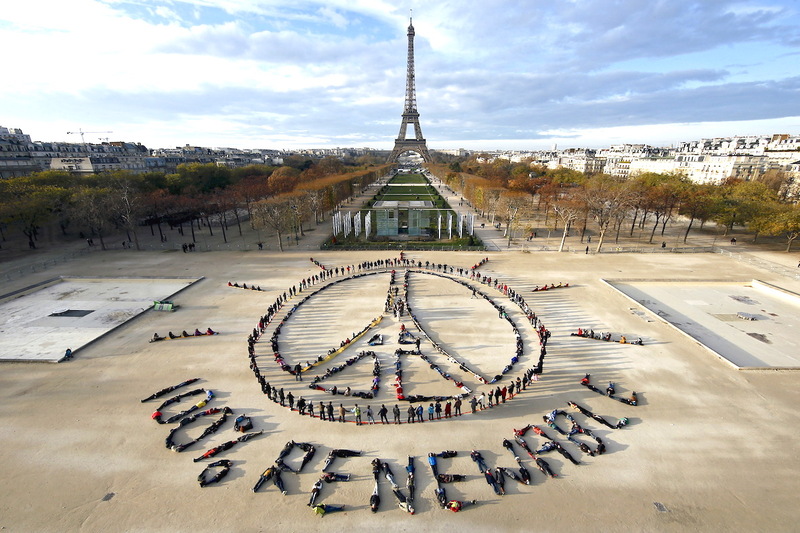 Image: The Conversation Activists and protesters infront of the Peace Wall in Paris calling for a shift to 100% renewable energy. Reducing emissions from agriculture will be imperative as it will be impossible to stay within either a 1.5 or 2 degree target if agriculture does not contribute to emissions reductions. Never before have the effects of climate change been so keenly felt around the world and never before has the consensus been so great that something must be done. It's considered very significant that of the 160 countries that submitted emission reduction pledges to the Paris summit, 80% included agriculture in either reduction targets or specific actions, and 64% noted the importance of adaptation in agriculture. This momentum will likely accelerate – the organisers of the next climate summit, to occur in Morocco in 2016, have already confirmed an ongoing focus on feeding the world. COP21 raised a sense of shared purpose and responsibility in meeting the new climate and development goals. It is now important that we move beyond mere sentiment and have the courage to make the change necessary. The Paris Agreement opens the door to further work on agriculture between now and 2020, when the agreement takes hold. This is the chance for the global agriculture community to step up and drive action.